For many years the retail industry has battled hard against the banks and card schemes, Visa and MasterCard, to try and reduce the level of fees they are charged on every transaction they accept by payment card. 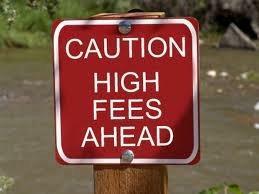 Transaction fees: Never quite this obvious. There was a lot of sympathy for their plight – big banks and powerful card schemes versus retailers (many of them very small) never seemed a 100% fair fight. But things have taken a nasty turn as major name retailers increasingly move into financial services. Part of this move, from the likes of Tesco and Marks & Spencer, involves them becoming big issuers of credit cards (co-branded with Visa or MasterCard). Tesco, for instance, has around a million holders of its payment card. No problems with that you’d think. But there is an unsavoury aspect to their activities, namely that their cards have a fee of around 1% more (of the value of the goods bought) than other Visa and MasterCard cards. Every little (extra transaction fee) helps. This means that when a retailer accepts one of these cards they will be paying substantially more in fees than for most other Visa and MasterCard-branded cards that they accept. And this money is split between the retailer that issued the card (e.g. Tesco or M&S) and the card scheme supporting it. This is a real kick in the teeth for all retailers and especially those selling big ticket items where a high proportion of their goods are purchased by shoppers using credit cards. 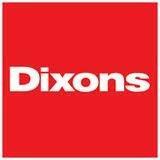 The likes of Dixons will certainly be taking a big hit. And just to put salt into the wounds of Dixons and others like it, the retailers issuing the cards will also be able to see exactly where their cardholders have been shopping so Tesco will be able to see which of its rivals’ stores they’ve visited. Among retailers taking a hit on card fees. This information could be used to change shoppers’ behaviour by maybe giving them vouchers to lure them away from these competitor shops. All this chicanery can of course be put down to the straightforward rivalry that exists between retailers and the tough environment that is business. However, this would be overlooking the fact that the likes of Tesco and M&S have been vociferously arguing against high banking fees for years. And then – would you believe it – when they get a chance to put their snouts in the trough they simply can’t help themselves. It’s time for the British Retail Consortium to do something about this trend before there is all out warfare in its ranks.